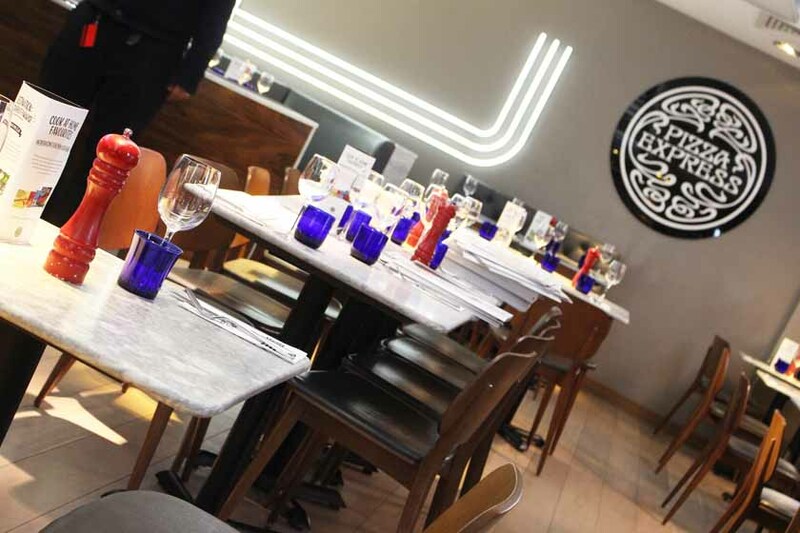 We were recently invited to try the new Pizza Express menu that launched on the 22nd of March, just in time for Spring and I can't wait to tell you all about it. 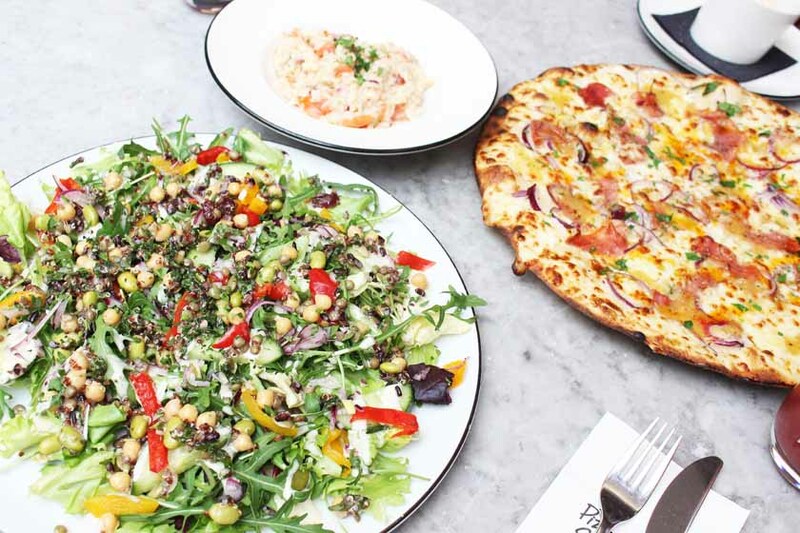 From a yummy superfood salad, to a new Hawaiian pizza with a light base, there is something for everyone. One thing I was really looking forward to was the new drink on the menu - Watermelon chill (£3.25). If you've been reading my blog for a while, or followed my last pregnancy, you will know that I am obsessed with watermelon and my craving for it is ridiculous! Well... the watermelon chill didn't disappoint and both me and Scott had two glasses each, as it was absolutely delicious! 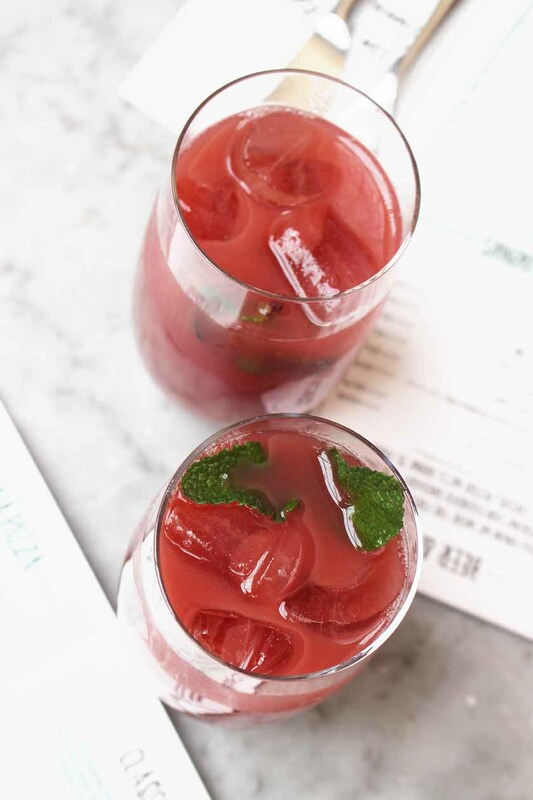 It's a mixture of watermelon, strawberry puree and mint, served over ice with a sprig of fresh mint. Yum! 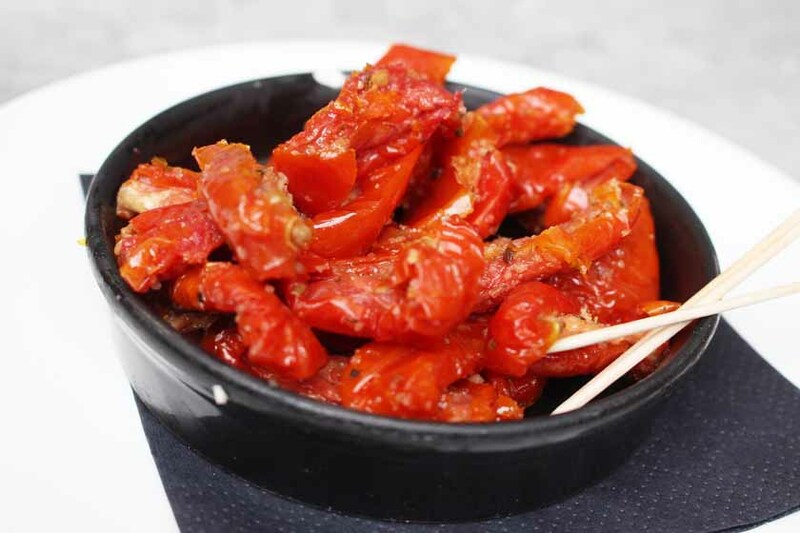 Before our order arrived, we nibbled on some scrumptious sundried tomatoes. Sweet and juicy, just the way I like them! 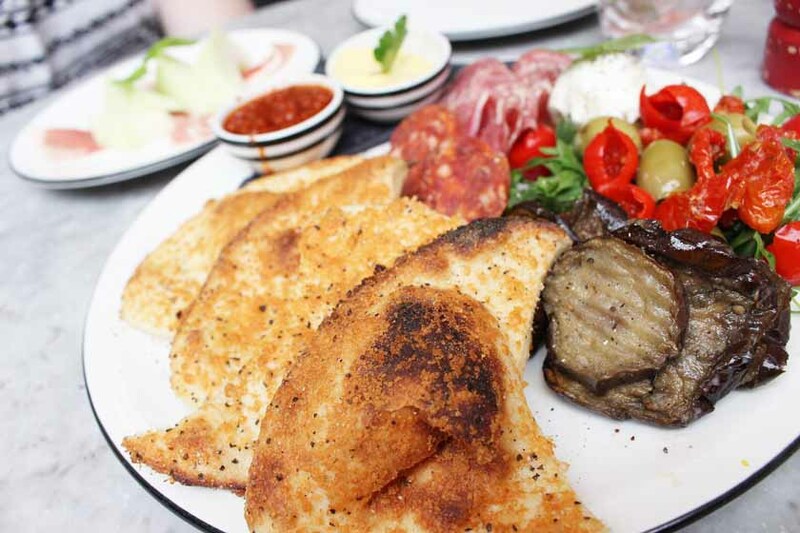 For the starters, we opted for the Antipasto sharing platter (£7.75). 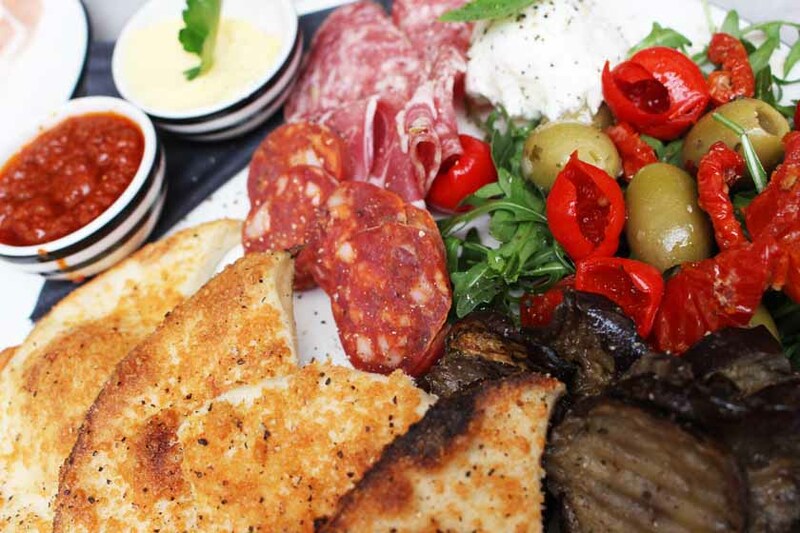 Scott enjoyed the selection of Italian meats and we shared the rest of the deliciousness: marinated olives, aubergine, roasted tomatoes, buffalo mozzarella and sweet Pepperdew peppers. The star of the show on the platter was the mouth watering dough baked with Gran Milano cheese! Oh my... I could eat it all day long. With the garlic butter and harrisa spiced tomato dip it was one of the best things I have ever tried. 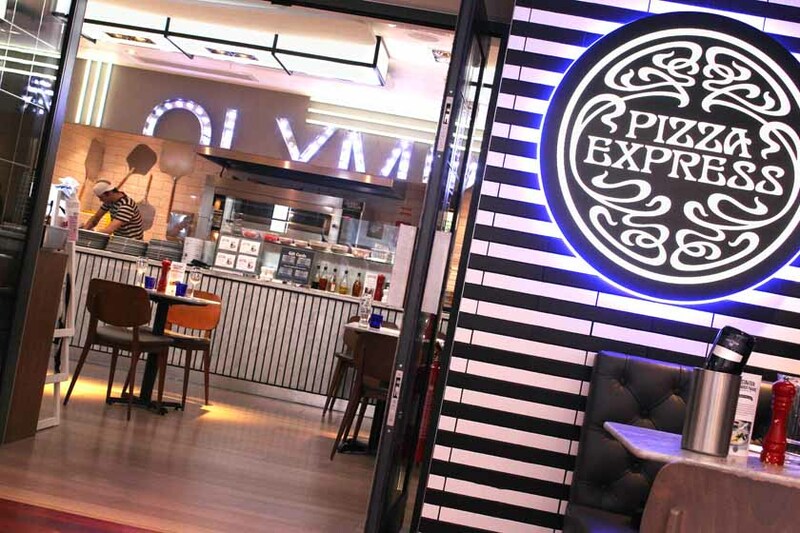 I would happily go back to Pizza Express just for the dough! 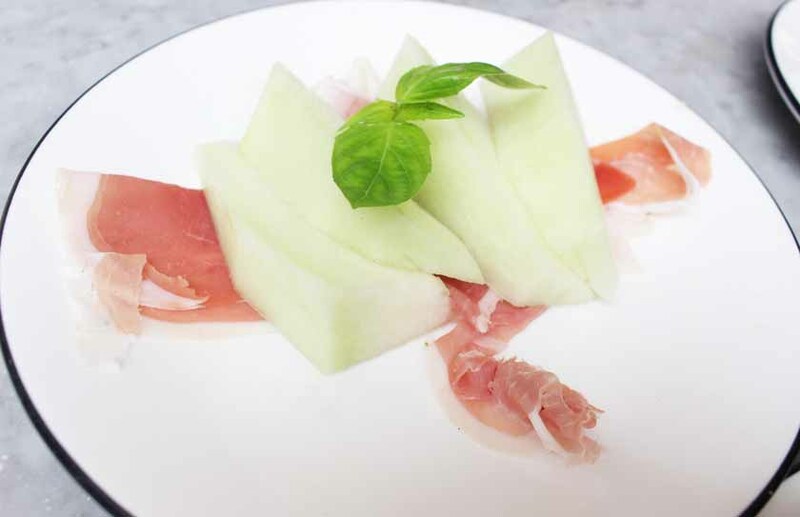 Scott also ordered the new Prosciutto e Melone (£4.95), which is simply fresh honeydew melon and Prosciutto Crudo with extra virgin olive oil and he really enjoyed it. I had to steal a little bit of melon off his plate, as I am a melon addict. The mains were also delicious and we had a bit of everything. 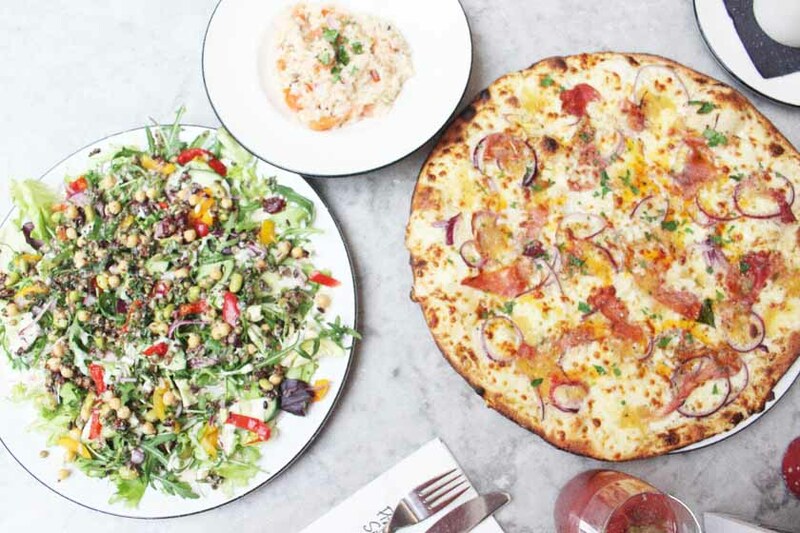 We tried all of the main dishes from the new Spring menu: Hawaiian Pizza Express, Laggera Superfood Salad and Risotto Fresco. We also tried a side of the Pizza Express Coleslaw (not pictured, as I totally forgot to photograph it!) and it was amazing! Crunchy white cabbage, carrot and onion with a chipotle spice in a rich and creamy dressing. 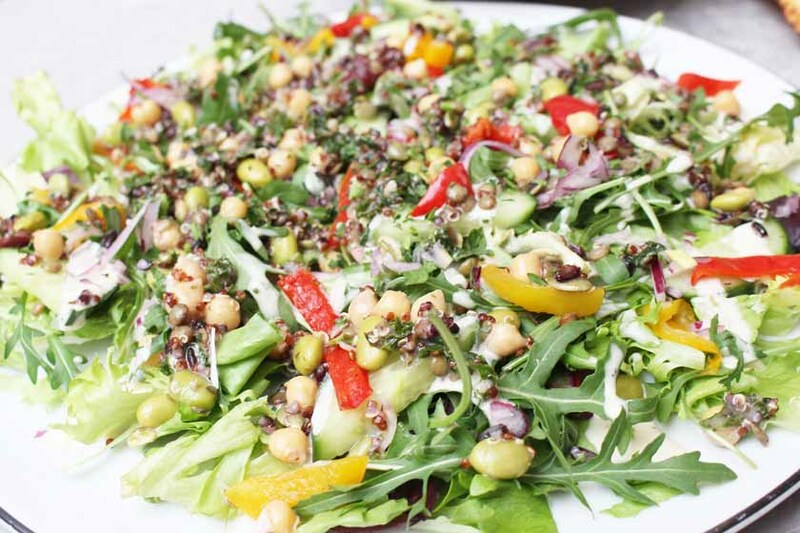 The Laggera Superfood Salad (£11.45) was right up my street, featuring a superfood mix of green lentils, black rice, edamame beans, red quinoa, chickpeas, cranberries, pumpkin seeds and kale in a flavoursome vinaigrette on a bed of seasonal mixed leaves, rocket, cucumber, roasted red & yellow peppers, red onion and fresh parsley with a light house dressing. It's like a dream come true for me, as I love veggies and superfoods soooo much! It was full of flavour and surprisingly filling and the portion was huge! You can also add chicken or salmon to it for an extra £1.95. Definitely a healthy and nutritious choice. Scott opted for the new Hawaiian Pizza Express (£13.45) on a thin and crispy Romana base with creamy béchamel sauce, Prosciutto Crudo, sweet chilli pineapple chutney, red onion and a sprinkle of chilli flakes. 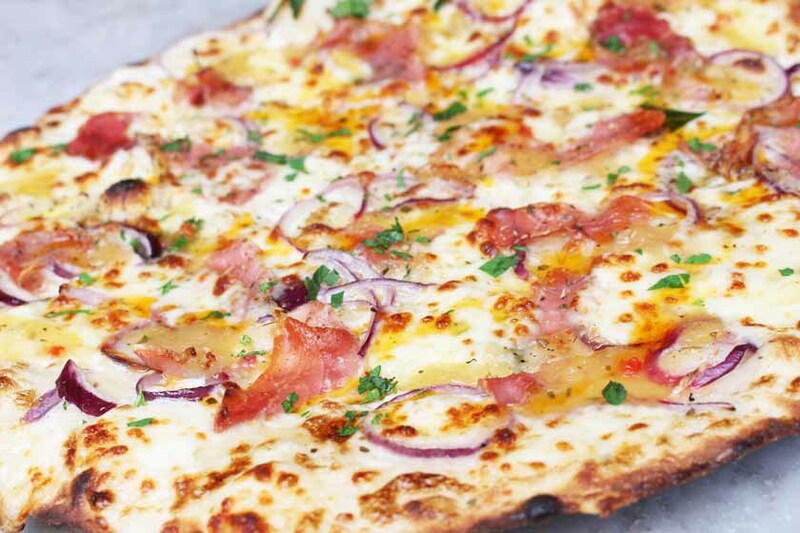 A nice twist on a classic Hawaiian pizza, but sooo much better. I am not a fan of pineapple chunks on my pizza, so swapping it for a chutney is genius! I had two slices of the pizza without the meat and it was absolutely gorgeous! I might even recreate it at home. As I simply cannot live without fish (I have tried, but I failed), I had to try the Risotto Fresco (£11.45). 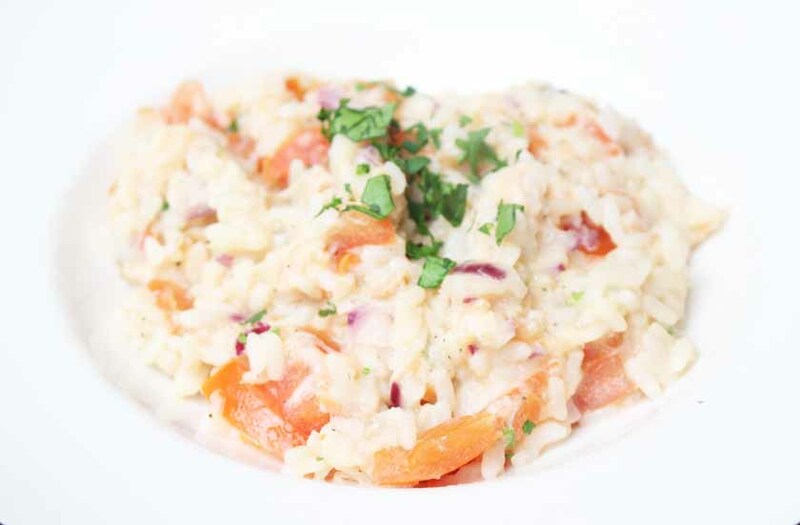 A delicious combination of oak-roasted peppered salmon, garlic and fresh parsley, a creamy white wine risotto with Gran Milano cheese, chopped fresh tomato and red onion. If you love salmon, you have to try it. 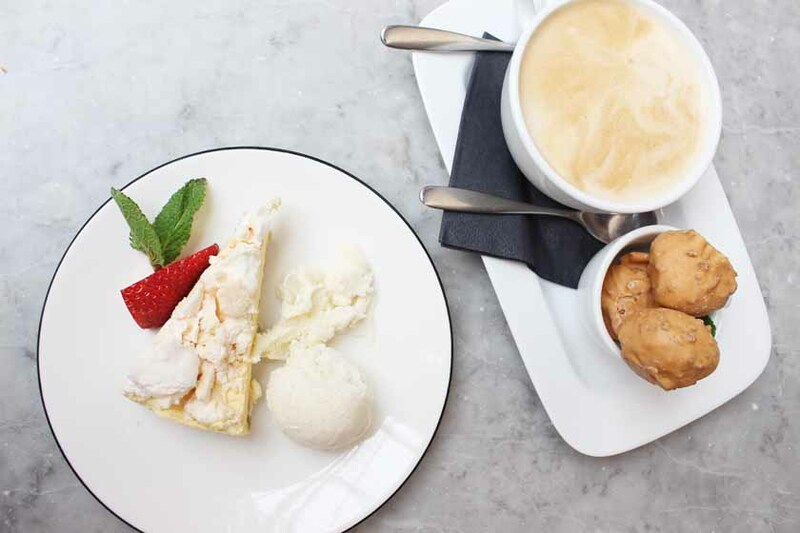 We couldn't leave without a dessert and a latte. I am surprised we had space for it to be honest, as we were stuffed after the starters and mains. I tried the new Spring addition to the menu - Passionate Mess (£5.95) - a tropical version of Eton mess in a slice of creamy goodness. 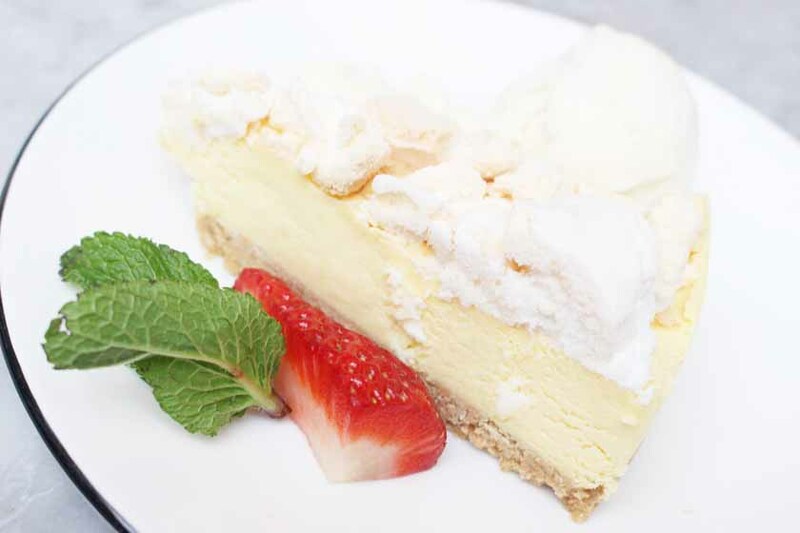 The biscuit base goes nicely with zingy passionfruit infused cream, meringue pieces, strawberry and mint. 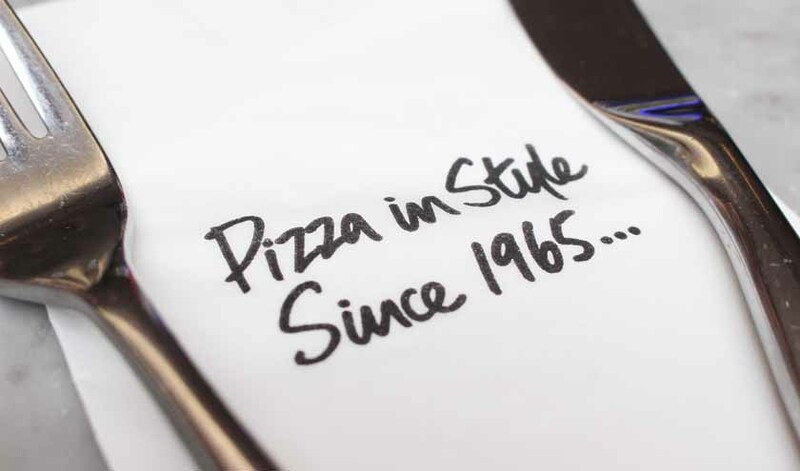 You can have it with a side of cream, mascarpone or gelato. I opted for gelato and it was lovely. 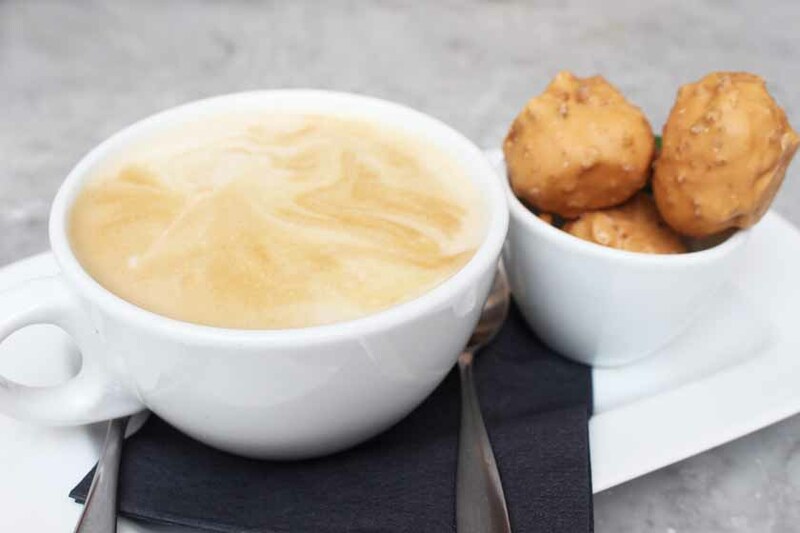 Scott ordered the Profiteroles from the dolcetti menu, which is perfect, as you get a coffee and a mini dessert. These are coated with sweet caramel and come with a creamy salted caramel filling. 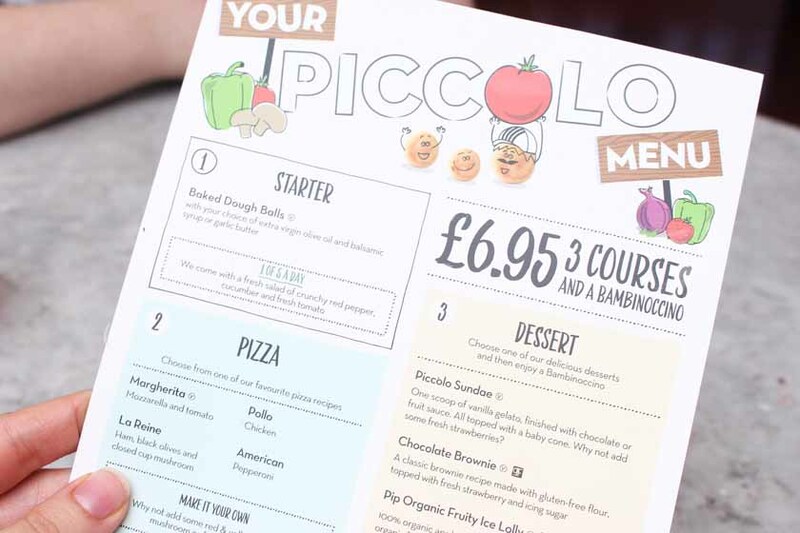 We also had a look at the kids menu and it looks fantastic! 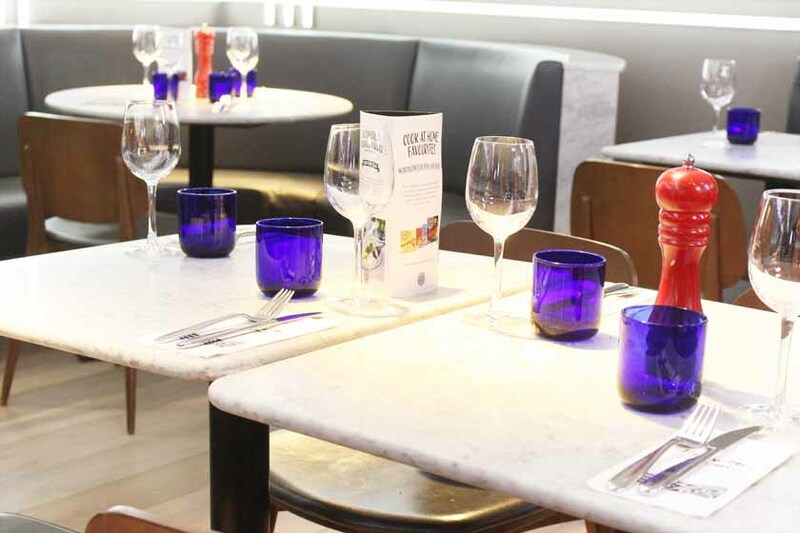 You get three courses for £6.95! Talk about value for money! We have to bring Zachary with us the next time. He is a fussy eater, but I think he would actually enjoy the dough balls, a Margherita and a chocolate brownie. 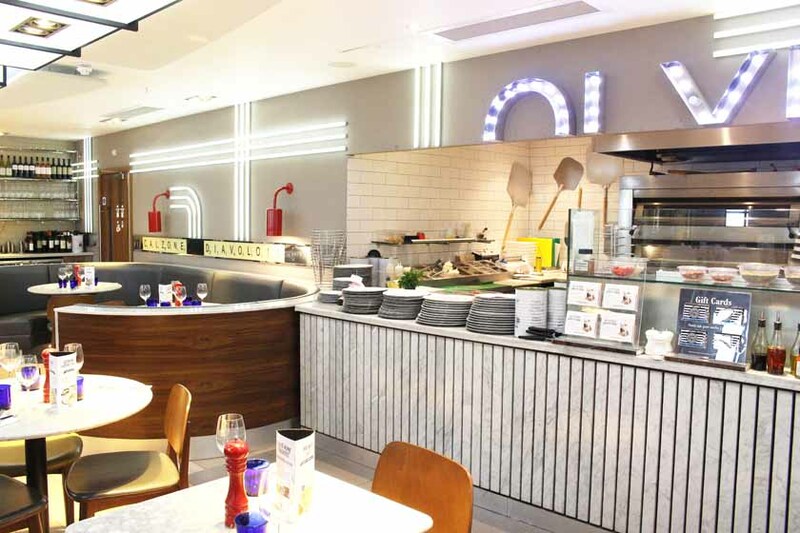 I love the decor of the Princes Square branch. 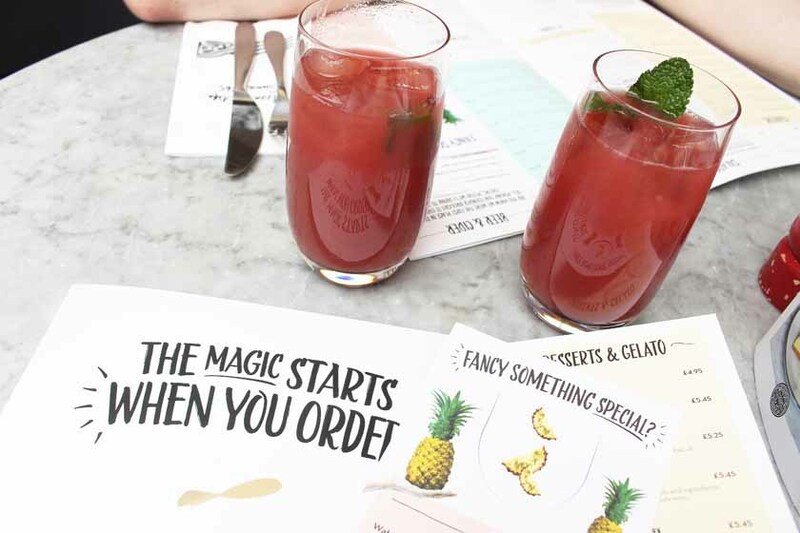 We loved the new Spring menu and I would personally recommend the Laggera Superfood Salad and the new Hawaiian Pizza. If you're vegetarian, you can ask for it without the Prosciutto and it is just as nice. Oh, and the Watermelon Chill is out of this world too - so refreshing!